Yes, the time has finally arrived for Sean, Josh and I to pick up our hiking stocks, shoulder our packs, tie on our shells, and head off on pilgrimage once more. It has been three years since we started from St Mary MacKillop’s birthplace in Brunswick Street, Fitzroy, on 28 March 2016. We have walked over 1000km since then, via Bairnsdale, Orbost, Bombala, Eden, Narooma, Batemans Bay and Ulladulla. 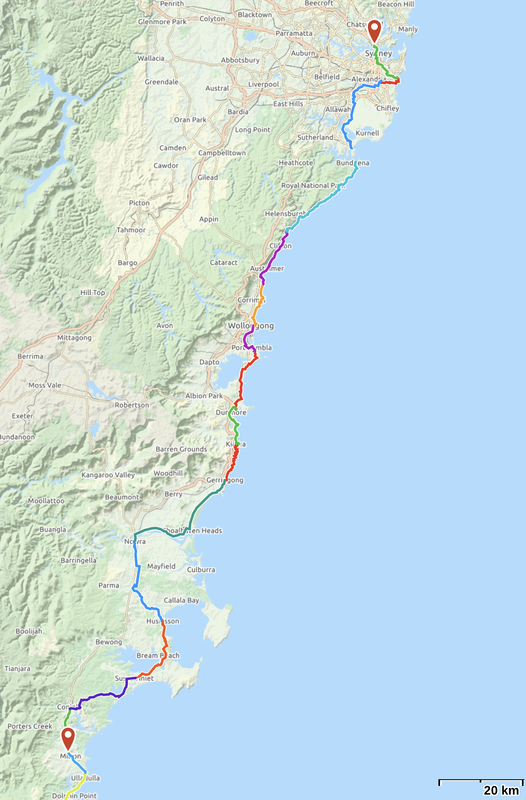 This Sunday (Palm Sunday) Sean and I will catch the rail-replacement bus service (grrr) from Southern Cross Station all the way to Narooma where we will stay with Margaret, our host from last year. 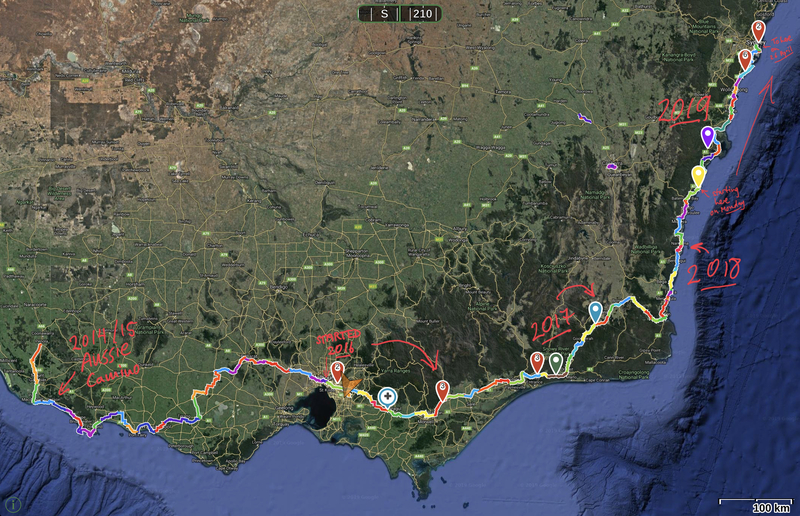 The next day, Monday in Holy Week, Margaret will drive us to Milton where we will recommence our walk. Josh is catching the bus down from Sydney, and will walk from Wandandian, meeting us on Tuesday in Sussex Inlet. (Me: We are waiting to hear confirmation of the brass band and ticker-tape parade welcome when we arrive. Conscience: This pilgrimage isn’t about you! We hope to be at St Michael’s Nowra for the Mass of the Lord’s Supper on Maundy Thursday and at All Saints Shell Harbour for the Easter Vigil. On Divine Mercy Sunday Sean and I will be at St Mary’s Cathedral. 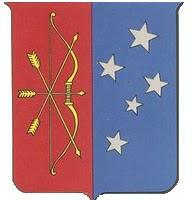 Please check daily here on the blog to see where we are, how we are faring and what trouble we are getting into. I will be tweeting at @scecclesia also. Already we have had a shaky start, with Sean having a bit of a bung knee and me battling to keep a cold at bay. So please pray for us, as we will for you! 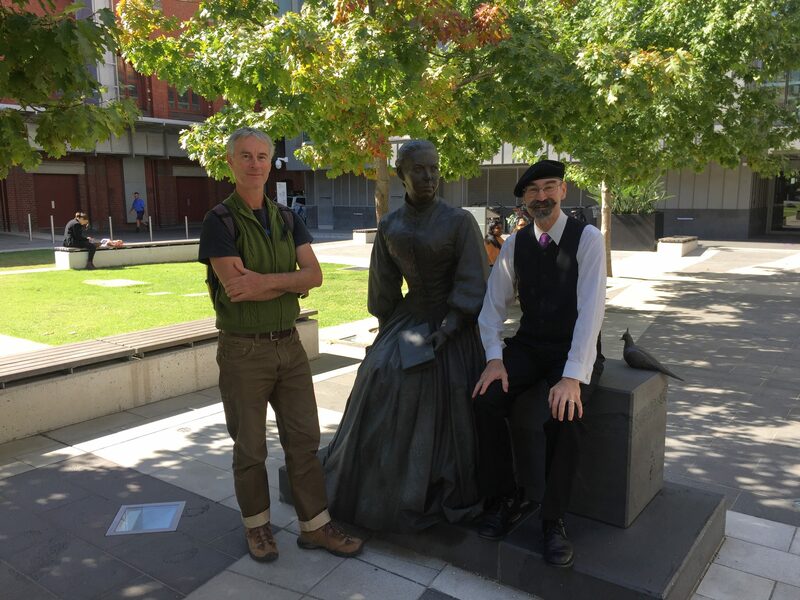 Here’s a little pic of Sean and me at St Mary’s statue at Australian Catholic University in Melbourne, across the street from where she was born and where we started in 2016, and a full map of the MacKillop-Woods Way from Penola to Sydney.